The Nissan Kicks SUV is finally on sale! With introductory prices starting at Rs 9.55 lakh for the base petrol variant and going up till Rs 14.65 lakh (both ex-showroom Delhi) for the top-spec diesel variant, the all new Kicks has set its sights on the undeniable king of the compact SUV segment, the Hyundai Creta. It will also go up against the likes of the Maruti Suzuki S-Cross and its Renault cousin, the Captur. The all new Kicks is offered in a total of four variants: XL, XV, XV Premium and XV Premium + with diesel engines. Meanwhile, the petrol version is offered only in the base XL and XV trims. The Kicks gets a host of features and safety tech on board. With a segment first 360° camera setup, an 8-inch touchscreen infotainment system (with Android Auto and Apple CarPlay), leather upholstery, and soft-touch materials on the dashboard, Nissan has cut no corners in terms of features. It also gets automatic climate control, rear AC vents, steering-mounted call controls and cruise control. However, it skips on a sunroof and electrically adjustable driver seats, which the Creta gets. On the upside though, Nissan has provided dual front airbags, ABS with EBD, climate control and Nissan Connect as standard. Nissan Kicks prices start at Rs. 9.55 lakh for petrol and goes upto Rs. 10.95 lakh. The prices of Kicks diesel variants start at Rs. 10.85 lakh and the top-end diesel is priced at Rs. 14.65 lakh. Nissan Kicks is available in 7 variants and 11 colours. The claimed ARAI mileage for the Nissan Kicks petrol is 14 kmpl, and for the Nissan Kicks diesel is 20 kmpl. Q. Wanted to purchase Nissan Kicks top end desiel variant but having seen the market response of February I am disappointed and confused. Is Kicks not a Value for Money Car? Please advise with alternates as well budget 18-20 lakhs. Q. Which is better between S-Cross Alpha and Nissan Kicks? Q. My daily running is 20 Km/ day. I want to purchase Nissan Kicks XV petrol or Creta 1.6 SX petrol which is better? Q. Which is better between Nissan Kicks and Tata Harrier? Q. Which variant is more suitable petrol or diesel if my average usage is 1000 km per month and what is the real mileage for petrol? Q. Which is the best cars in between Kicks, Creta and Jeep Compass? The Nissan Kicks definitely isn’t a square, upright SUV. It’s more flamboyant, with sharp crossover styling that blends well with Nissan’s design language. Not to say it doesn’t have the rugged elements in place though. The wheel arches are flared, there’s matte-black cladding all around and it gets a healthy 210mm of ground clearance as well. Bits such as the large smoked-out LED projector headlamps, 17-inch machine-finished alloy wheels, the contrast coloured roof and the boomerang-shaped tail lamps give the Kicks a distinct identity. It’s amongst the largest vehicles in its class, scoring high in terms of width and overall length. Sadly, though, this doesn’t translate into a roomy cabin. Space on offer is acceptable at best. And since it’s based on the same platform as the Captur, it inherits the same issues. The pedal box feels cramped, the driver seat is set higher than usual, and placement of switches takes some getting used to. That said, Nissan has thrown in quite a bit of features. This includes a segment-first 360° camera, an 8-inch touchscreen infotainment system and leather upholstery. It also gets automatic climate control, cruise control, and rear AC vents. Notably, a sunroof isn’t offered with the Kicks. Nissan’s compact SUV is offered with a choice of two engines - a 1.5-litre petrol, and a 1.5-litre diesel. These are the same engines you’d find under the hood of the Renault Captur. The petrol motor makes 106PS/142Nm and comes paired with a 5-speed gearbox. On the other hand, the diesel engine makes 110PS/240Nm and gets a 6-speed manual transmission. Sadly, no automatic transmission is being offered with the Kicks. Renault Duster: The car that started it all, the Renault Duster is the only modern crossover in the segment to feature an AWD system. Its butch design, adequate space, CVT transmission (petrol), AMT (diesel) and all-weather ability help it score a lot of brownie points in the segment. Interior quality and limited service network make it less appealing. Nissan Terrano: The Duster's better looking cousin (for some), the Terrano suffers from being too overpriced for its own good. It does get a diesel AMT variant which is a good option for those looking for a convenient urban SUV. Renault Captur: The Captur brings some style to a segment of boxy SUVs. If you want to stand out in the crowd or while munching highway miles - the big Renault is worth a dekko! 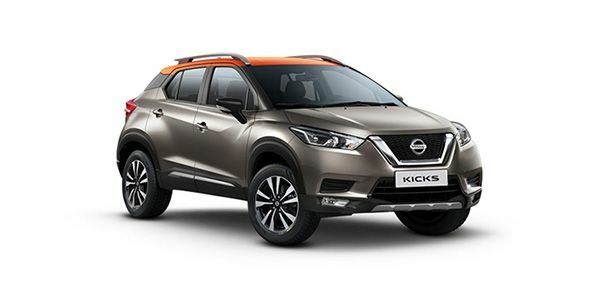 Nissan has managed to price the Kicks competitively, especially the base variant which gets more features than its closest rival, Hyundai Creta. However, the large price-gap between the base and higher variants is a bit of a bummer. Overall, the Kicks is worth considering for those wanting to look beyond the Creta with a well-equipped compact SUV that feels properly premium. Will the Kicks be the one to finally revitalize Nissan’s India innings?